Welcome to the first stop aboard Magical Blogorail Green. Enjoy the ride as we discuss Dreaming of a Disney Christmas. 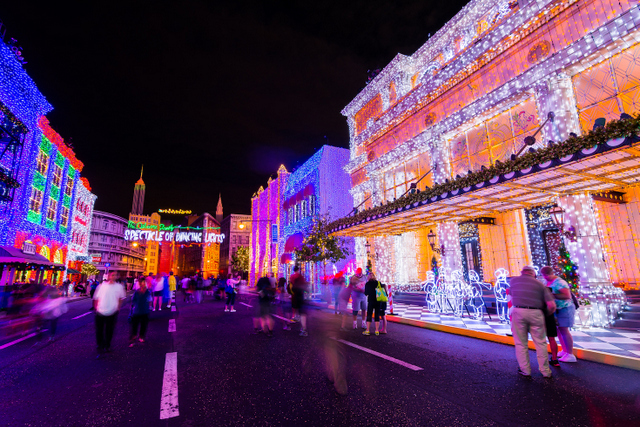 For so many people, Walt Disney World at Christmas is the perfect time to visit. Since I’ve not been fortunate yet to be able to visit during the Christmas season, I’m dreaming of a Disney Christmas — and perhaps adding a few touches here at home to allow my family to have a bit of a Disney Christmas without leaving home! 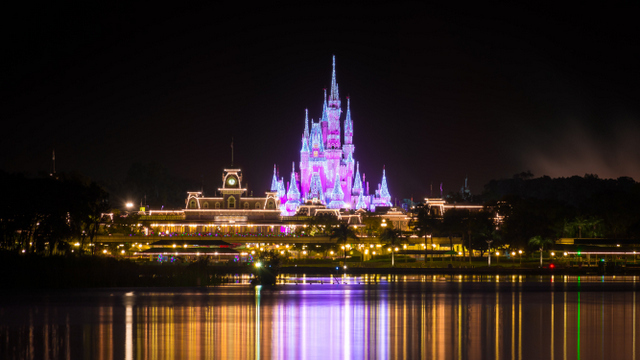 My friend Andy is the creator of the Facebook Page WDW Shutterbug, and it is thanks to his wonderful talent and generosity that I’m able to share with you many of the sites that I could picture in my minds eye, even before he sent me these photos. At the top is one of my favorite pictures of all time, featuring Cinderella Castle nestled at the end of a lit up Main Street, U.S.A. For this post, I’m going to share with you some of the wonderful scenes you will be able to enjoy when you visit Walt Disney World during the Christmas season! 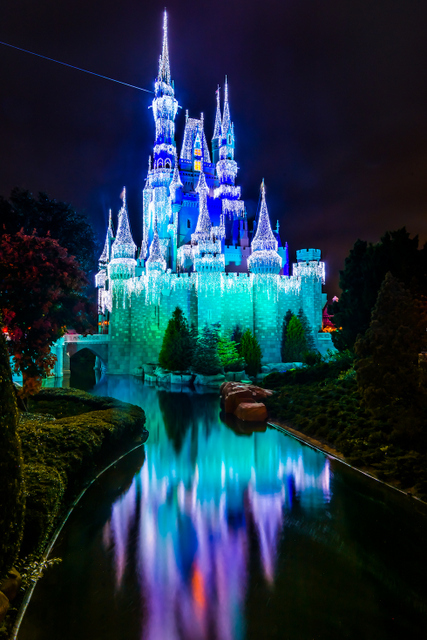 Cinderella Castle is all decked out in twinkling lights. This year, they have added a Frozen motif to it, and it looks incredible. The picture above is from last year, but is still just as incredible to me. As you can see, it’s not all Christmas lights at the Magic Kingdom. 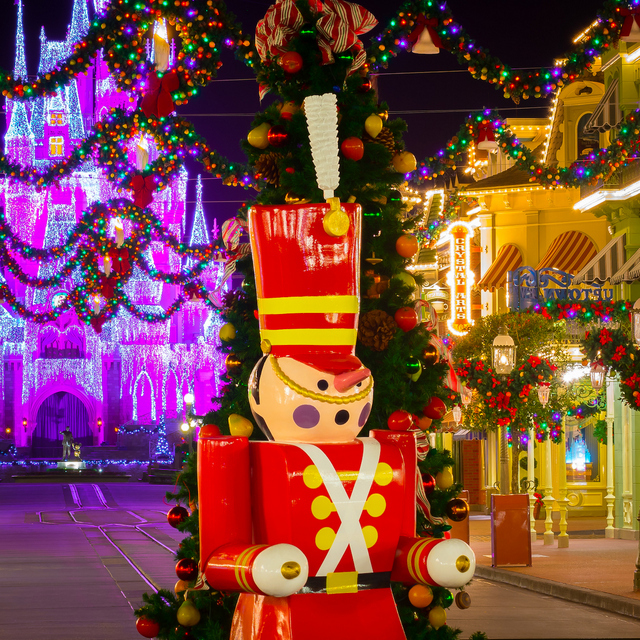 Here, a Toy Soldier is proudly on display among all the great Christmas decorations on Main Street, U.S.A. 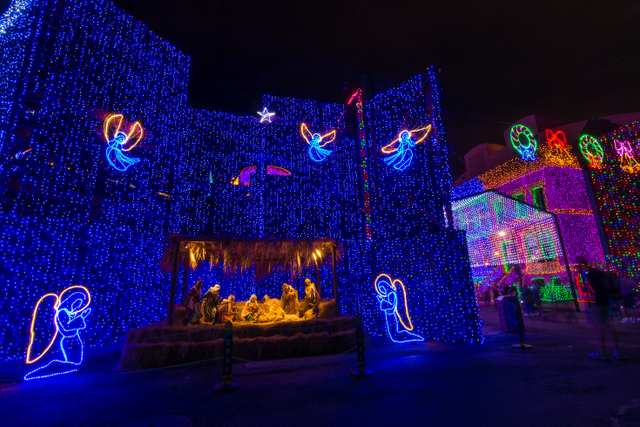 The Christmas Magic isn’t limited to just the Magic Kingdom, though. Here, you see part of the scenery for The Osborne Family Spectacle of Dancing Lights! What an incredible display of scenes to capture the imagination with! The picture of the Nativity Scene is, to me, what Christmas is all about, and I really like this picture. 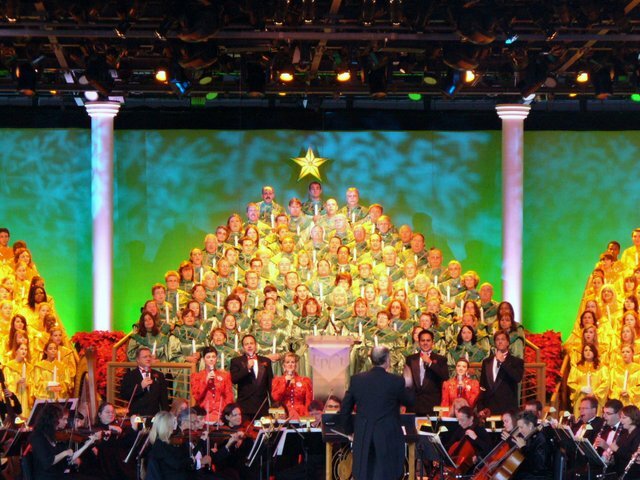 In many ways, though, I think the true Spirit of Christmas is on display over at Epcot with the Candlelight Processional that is performed throughout the Christmas season. Each night, a celebrity guest tells the Christmas story with the help of musicians. I think that this will be my favorite part of Christmas at Disney when we are able to experience it for ourselves. Special thanks goes out to my friend Denny for sharing this picture with me. Of course, a Disney Christmas doesn’t have to be spent at Disney — although, that’s the way I want to do it one year. For us, since that isn’t in the cards this year, we have decided to add a little Disney right here at home. My neighborhood is big on Christmas lights and decorations, so we have added two significant Disney characters to our “blow-up” collection. Here are pictures of them for you to enjoy! 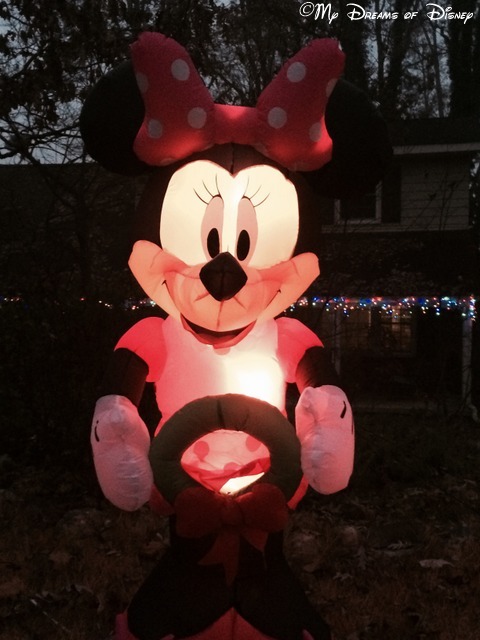 Minnie adorns our front yard this Christmas! 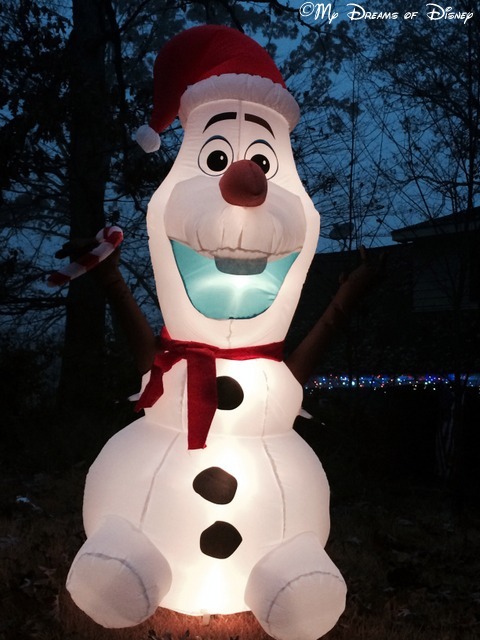 Olaf is one of the ways we celebrate a Disney Christmas — at home! His name is Olaf, and he likes Warm Hugs! It’s not like being at Walt Disney World, but my neighbor Harry told me that Olaf is the talk of the neighborhood! 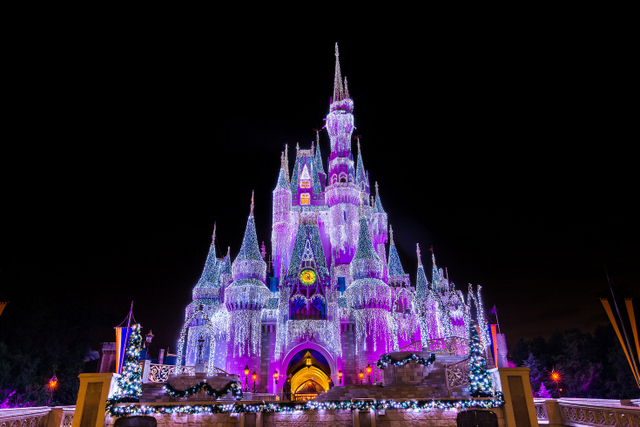 What is your favorite way to celebrate a Disney Christmas? Thank you for joining me today. Your next stop on the Magical Blogorail Loop is Heidi’s Head. Previous Post: Prayers for the Week – Thanksgiving! Next Post: Walt Disney’s Birthday!